Drilling for Closed Loop System – Morrison Inc.
Morrison Inc. has all of their own drilling equipment to drill your closed loop geothermal wells. This saves you money because we do not have to hire someone else for our drilling. We have both large drilling rigs and a small “baby rig.” The “baby rig” is a small drilling machine that allows us to drill in the tightest locations. 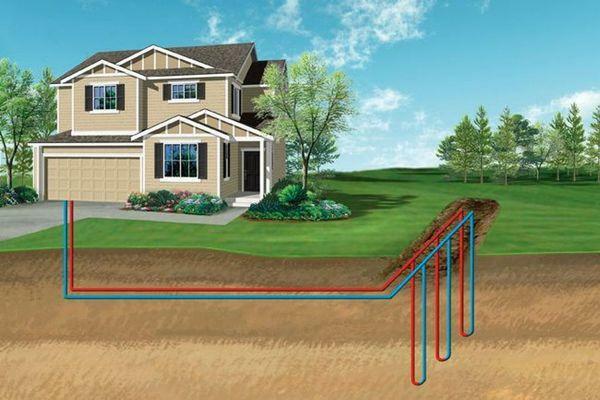 Morrison has installed Loop Systems with one to five hundred Geothermal Wells.